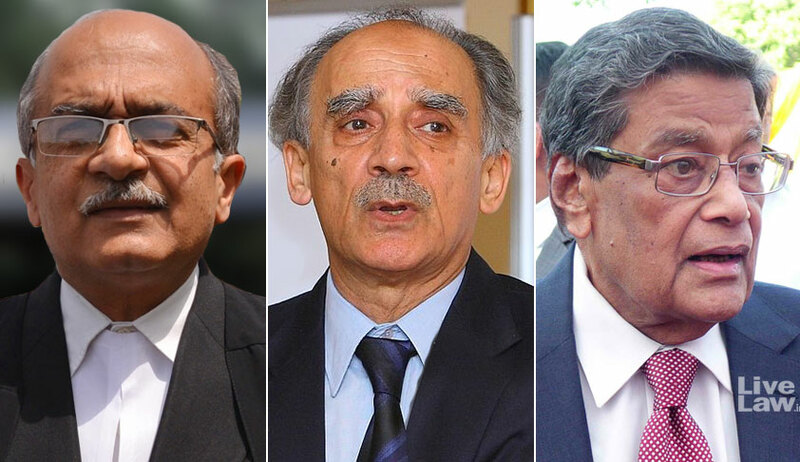 Today the Supreme Court bench comprising Chief Justice Ranjan Gogoi and Justices S K Kaul and K M Joseph heard the petitions seeking a court-monitored investigation into the Rafale defence deal. The arguments were started by Advocate M L Sharma, who submitted that the details handed over the Government revealed "serious fraud" in the deal. He pointed out that negotiations between India and France regarding the deal commenced in May 2015, only after the deal was announced by the Prime Minister Narendra Modi in April 2015. The deal was approved by the Cabinet Committee on Security only in March 2016, almost a year after its announcement by the PM. The lawyer for the other petitioner Vineet Dhanda also reiterated these arguments. They submitted that the Attorney General should file a reply explaining how the deal happened to be announced even before negotiations and approvals by the Defence Acquisition Council and Cabinet Committee on Security. Next was the turn of lawyer for Sanjay Singh, Rajya Sabha MP of AAP. He submitted that the deal between Dassault and HAL for manufacture of 108 aircraft domestically was alive even as on March 2015; however, suddenly the deal was revised during PM's visit to France in April 2015 and the number of jets were reduced to 36. The Government had disclosed the pricing details of the deal in the Parliament twice. The cost per aircraft is substantially higher than the earlier deal, even though the equipments remain the same. The Government has stated in its documents that the new deal was necessitated to augment combat potential. Then, how does it seem logical to cut down the number of jets from 126 to 36, asked the counsel. Opening his case, Advocate Prashant Bhushan had touted as bogus the government’s stand that it has no role in the selection of the Indian Offset Partner as it is a matter between private parties and the time for a disclosure in this behalf by Dassault has not yet arrived. He had pointed out the relevant portion of the Offset Guidelines of the Defence Procurement Procedure of 2013 which require all proposals for offset contracts to be processed in the defence ministry and be approved by the defence minister and which remains un-amended. “Soon after initiating new deal, in August 2015, to ensure deniability, the GOI quietly amended the defence procurement policy as to offset contracts and that too with retrospective effect. But they forgot that there are other clauses in the offset guidelines which were not amended”, he had claimed. He drew the bench’s attention to the amended Paragraph 8.2 of Appendix D to Chapter 1 of the DPP which now allows the vendor to furnish details of the IOP, including its eligibility, even at the delayed stage of seeking offset credits or one year prior to discharge of offset obligations. “This has provided the government with the chance to say that they do not know who dassault’s partner is. So can Dassault execute the contract and get performance out of it without the defence ministry knowing?”, Mr. Bhushan had asked. Further, Mr. Bhushan had questioned the government’s justification to short-circuiting the process of tendering in respect of these 36 jets. The Centre has stated that as it has entered in an intergovernmental agreement with France, there is no need to issue a tender and invite bids. 3. Where there is a specific state-of-art equipment/platform but the government of the Original Equipment Manufacture’s country might have imposed restriction on its sale and thus the equipment can not be evaluated on ‘No Cost No Commitment’ basis. It was Mr. Bhushan’s case that the Rafale deal does not qualify on any of these conditions, the objective of the Intergovernmental Agreement being only to obviate the tendering process. He had argued that the law ministry had fagged two issues regarding the Intergovernmental Agreement- One, that no sovereign guarantee was offered by the government of France in the event Dassault failed to deliver, despite huge payments to being made to the French company; Two, any dispute with Dassault is to be resolved through arbitration with the the seat of arbitration being in Geneva and not India. “On April 8, 2015, on the eve of the departure of the PM to France, the foreign secretary had declared that they expect to take the deal foreword. Two days later, a joint statement was issued out of the blue that now only 36 Rafale jets would be procured, ready-to-fly, with no technology Transfer and no make-in-india. suddenly, an offset clause, which was satisfied in HAL earlier, now contemplated 30-50% of the total value of contracts to be given to an indian company to manufacture parts or allied equipment pertaining to either this aircraft or another creation of Dassault’s. On April 13 (2015), the french media said that the deal was changed because the Indian PM wants to accommodate Mr. Ambani in the deal. In all this time, the earlier deal was not scrapped. Not the CCS (Cabinet Committee on Security), the DAC or even the defence minister knew of the change in the deal. And offsets were to be given to Ambani, whose company has no experience, no credibility, having just been incorporated 13 days before the joint statement?”, he continued. The Counsel averred that when Dassault was asked why it picked Reliance as its IOP, the French company had cited that land which Reliance had acquired subsequent to its selection as the reason. So Reliance was chosen at the instance of the indian government, he said. “The government’s unsigned note for which nobody has taken responsibility says the agreement was changed because the deal between HAL and dassault ran into rough weather? This is false. To say that the new deal would be effected quicker is a bogus. Defence minister Arun Jaitley had in 2014 stated that the deal in respect of the 126 jets was to be concluded soon, that the Work share agreement with HAL had been signed and that the First aircraft was to arrive in 2019, with the rest 108 to follow in the next 7 years”, contended Mr. Bhushan. “The Matter of these 36 aircrafts was not sent to the Categorization committee or even the IAF. Even the government knows that 36 would not be sufficient and hence, deliberation of a fresh tender. The PM had no authority to say that only 36 jets would be bought, all ready-to-fly, with no technology transfer and no make-in-India”, he advanced. The Counsel argued that the government has refused to disclose the pricing details of the fresh deal under the garb of the Secrecy Agreement. It was his case that the Secrecy Agreement regards not every information as classified but only that to which a particular level of security classification has been accorded accorded. At this point, Attorney General K. K. Venugopal objected that the Secrecy Agreement is supposed to be a confidential document and questioned where Mr. Bhushan had obtained it from. He even said that no court should allow Mr. Bhushan to read it. Mr. Bhushan asserted that he has extracted the Agreement from a book published in 2008 with the government’s permission. Moving on to discuss the ‘Security principles’, he quoted that the parties shall in accordance with their national laws take steps to protect all information and material provided to them. “The RTI has an overriding clause that All information in the hands of public authorities is entitled to be shared in the public domain subject to eight exceptions. How does the issue of price violate national security? It was disclosed in the Parliament twice!”, he claimed. “Earlier, the price of each jet, along with the added equipment, was disclosed to be Rs. 670 crores. Then Dassault declared that the deal for the 36 aircrafts was worth Rs. 6000 crores which comes to roughly Rs. 1660 crores per fighter jet. Now, they are saying that the 670 crores is only for the basic aircraft and remaining 1000 crores is for the equipment, despite the tender stating that price quoted should be inclusive of the spares, equipment etc....Two senior defence officers have asserted that the price originally quoted was about 40% less. How are they saying that the price is better than earlier?”, urged Mr. Bhushan. “We made a detailed complaint to the CBI which essentially says that the top officials have abused their authority as public servants by violating procedure, resulting in the inflated price and undue advantage to Dassault and Reliance, despite the latter having no credibility. Clearly, they have gone out of their way to sign a new deal to bring in an undeserving offset partner, the payment for the offset contract essentially being in the nature of a commission. Section 7 of the Prevention of Corruption Act attaches criminal liability when a public servant receives gratification beyond the legal remuneration, even if for someone else and not himself....”, he continued. “Hence, as per the constitution bench judgment in Lalita Kumari, the CBI is bound to register a FIR and conduct an enquiry. If the newly inserted section 17A to the POCA, setting the precondition of seeking the permission of the government before an enquiry may be initiated (into a recommendation made or decision taken by a public servant in discharge of his official functions), is a hurdle, we request this court to lift this restriction”, Mr. Bhushan rested his case. The counsel appearing on behalf of AAP MP Sanjay Singh sought to prove that the government of India has disclosed the price of the aircrafts twice on the floor of the Parliament, as opposed to the persistent denials of the AG in this behalf. “On march 18, 2016, Minister of State for Defence Subhash Bhamare had revealed that along with the requisite equipment and services, the cost of each jet is Rs. 670 crores. A Similar question was asked by my client on March 19, 2018, again replied by Bhamare, and the price of each jet was stated to be Rs. 670 crores without the associated equipment”. Being party to the petition alongside Mr. Bhushan, Mr. Arun Shourie, former Cabinet Minister during BJP’s reign under the Prime Ministership of the late Atal Bihari Vajpayee, also made his arguments. “When Mr. (Manohar) Parrikar (the then defence minister) was asked why the number of jets had been reduced from 126 to 36, he had said on television that the decision was taken by Mr. (Narendra) Modi and that he supported it, that This was the result of political discussions between the PM of India and the president of france. There was No reference to any procedure”, began Mr. Shourie. “On April 8, 2015 (before the PM left for France), the foreign secretary had said to the media that in terms of the Rafale deal, detailed technical discussions were ongoing, but they do not mix up leadership level visits with these negotiations. And two days later, this deal is announced by our PM?”, he continued. “When HAL can build a fourth generation fighter jet that forms the mainstream of the IAF from the materials available, then what are they talking about? Everything was worked out. Please Ask the government to put the file out in public....”, concluded Mr. Shourie.